Congratulations to all our teams that competed in our Recreational In-House End of Season Tournament. 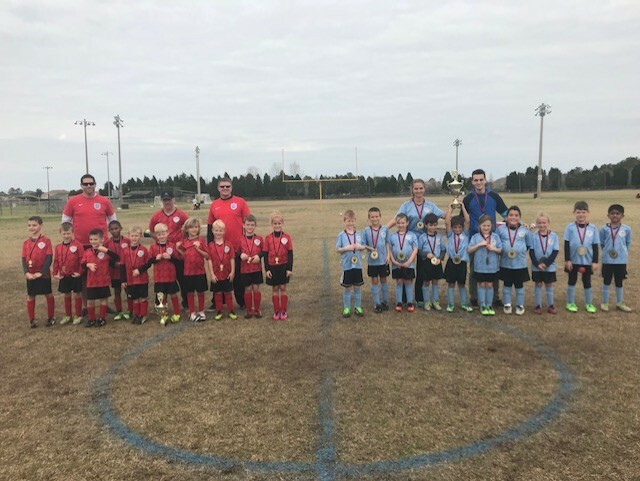 We had two great finals in both our U8 & U10 divisions. Our U8 Team, Stamatopoulos “Greece” the 4th seed team defeated #1 seed team Wysong 1-0 in a barn burner. What a game! Team Greece came off their first win of the season last week in the first round of the Tournament. They lost 1-0 today in the second round but went through on points; setting up today’s Final. What a great comeback story for the kids to always remember. Congrats to both teams as they played their hearts out.